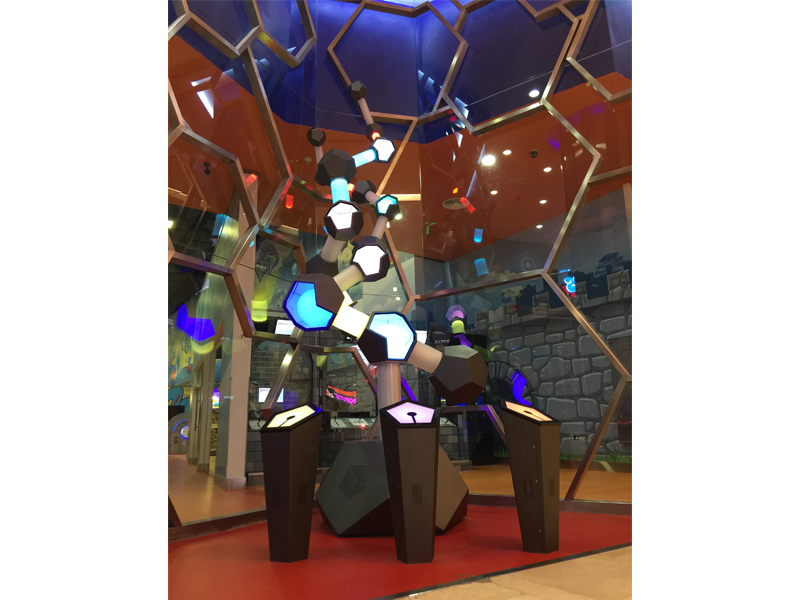 An interactive, visually appealing and robust exhibit to draw interest from visitors passing the attraction venue in a shopping mall. 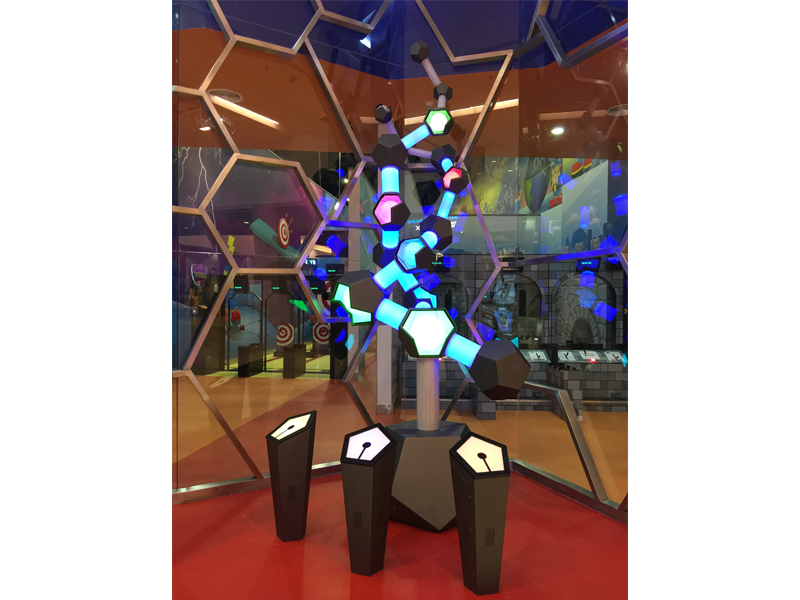 The sculpture provides visitors with a sensory experience created through a simulated ‘molecular’ structure and various optical elements, LED spheres, perforated metal polyhedral forms. Interactivity is created by three touch consoles. Each console controls one feature of the audio and light show. Touching a console changes the effects that the visitor experiences. When no recent activity is detected, one of six different ‘shows’ is activated, including audio and lighting effects that run for sixty seconds.